The border guards stopped to check the vehicle of the Dutch registration with three persons in it. The passengers of the car were citizens of the Kyrgyz Republic who arrived to Ukraine illegally. The car was driven by a citizen of Ukraine, also a native of Kyrgyzstan. 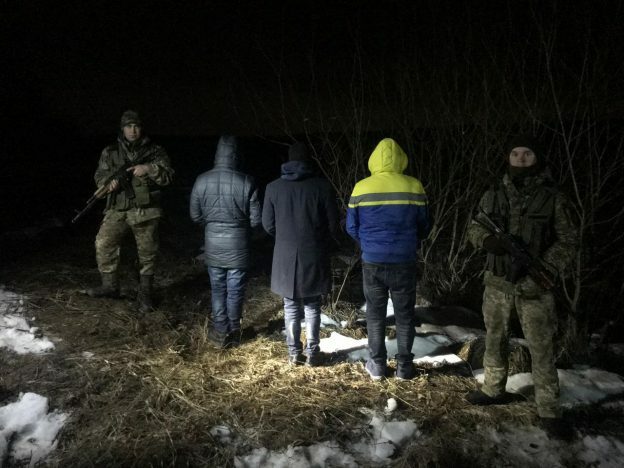 In the course of further verification activities, it became known that one of the foreigners illegally got to Ukraine from Moldova bypassing the checkpoints, and the other is in Ukraine violating the terms of his stay. In relation to the driver, the citizen of Ukraine, the protocol was prepared on administrate offence under the Article 206-1 of the AICU “Illegal transportation of foreigners and persons without citizenship on territory of the Ukraine”, by the court decision these travelers were imposed a penalty in the amount of 2890 UAH. 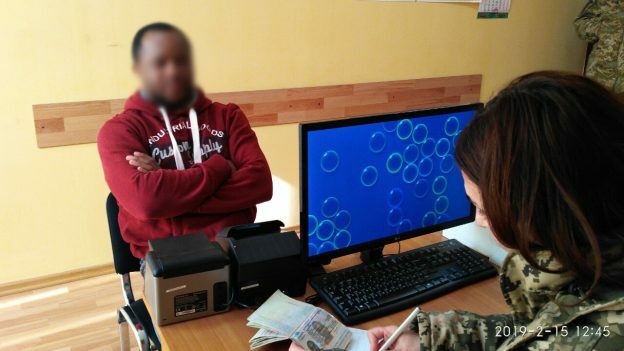 The foreigner, who illegally crossed the border, has to pay the fine for the offense in amount of 3400 UAH and five years of prohibition to enter Ukraine. Another foreigner was fined for 1700 UAH for his violation of the stay rules in Ukraine. Both Kyrgyz were returned under the established order to the neighboring country. This entry was posted in Translated Media-News from Ukraine on March 2, 2019 by oksana. Due to the information provided by the employees of the Internal Security Department of the State Border Guard Service, this direction was strengthened by additional border orders. Subsequently, the border guards detained three citizens of India. During the survey, the freigners admitted that they intended to get to the EU in search of a better life. Although the foreigners had passport documents, their stay in the territory of our country was illegal, as their visas validity has already finished. Currently, the illegal migrants are delivered to the border department. After clarification of all circumstances, they will be brought to administrative responsibility under Part 1 Art. 204 – 1 of the AICU “Illegal cross or attempt to cross illegally the state border of Ukraine”. This entry was posted in Translated Media-News from Ukraine on March 1, 2019 by oksana. 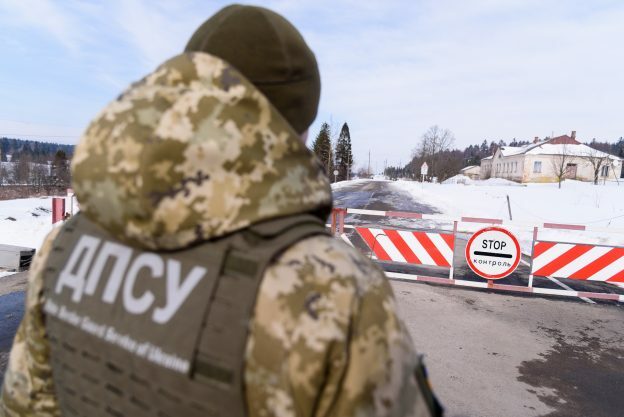 The local resident of the border settlement Varvarivka informed the border guards of the Kharkiv Detachment that three unknown persons were moving towards the Ukrainian-Russian border. The border detail started to the place immediately and arrested the violators. It turned out that two citizens of Azerbaijan exceeded the period of their stay in Ukraine and being unable to avoid responsibility, they risked together with a familiar citizen of Ukraine, also a native of Azerbaijan, to get to Russia bypassing the checkpoints. In addition, checking their passport documents the border guards found that they contained forged entry and exit marks of the SBGS. The Law enforcement officers brought violators to administrative responsibility and handed over both citizens of Azerbaijan to the employees of the State Migration Service. Concerning detection of the criminal offense signs provided by the Art. 358 of the Crime Code of Ukraine “Forgery of documents, seals, stamps and forms, sale or use of counterfeit documents, seals, stamps” information on the issue was forwarded to the law enforcement agencies. 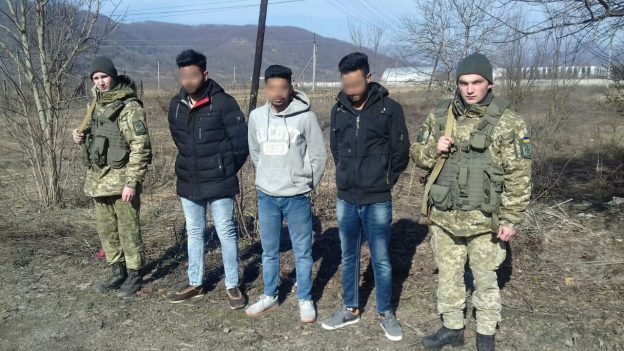 A citizen of Azerbaijan and two of his smugglers were detained by the staff of the BU “Markivka”, Luhansk Detachment according to information received from the staff of the operational units of the Eastern regional Department. Thus, the border detail from the BU “Markivka” arrived to the supposed place of the border crossing. With the help of a night vision device the law enforcement officers detained two persons coming from Russia. They were 34-year-old Azerbaijan and his smuggler, citizen of Ukraine. Subsequently, as a result of the search actions, at distance about 1 km from the border line the border guards found the car driven by the local resident, who was the accomplice of the smuggler. The offenders were detained in administrative order for an attempt to violate the state border. Soon, the National Police was informed about the criminal offense detection under the Article 332 of the Crime Code “Illegal transfer of persons across the state border of Ukraine”. This entry was posted in Translated Media-News from Ukraine on February 28, 2019 by oksana. 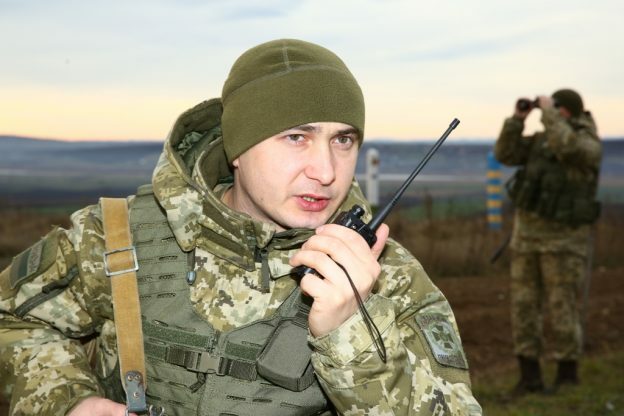 In the course of the border monitoring the military staff of the BU “Uzhhorod” noticed an unknown person. They had no any documents, however, introduced himself as a citizen of Nigeria. The undocumented African was taken to the border service division for screening and identification. The detainee faces administrative responsibility for violation of the border regime. This entry was posted in Translated Media-News from Ukraine on February 26, 2019 by oksana. 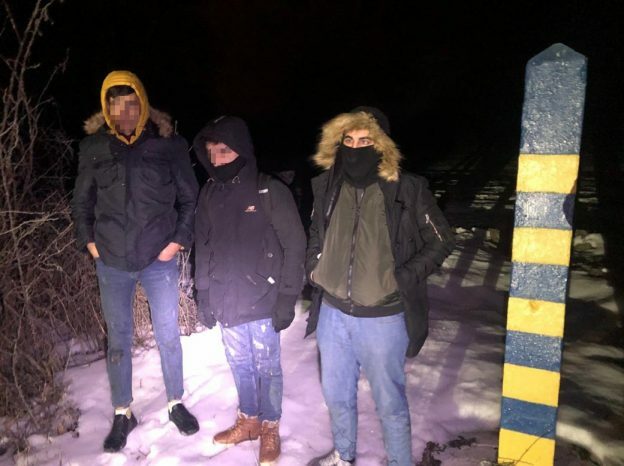 During the check of the passengers’ documents from the train “Kiev-Kosice” the border detail of the railway chack point “Chop” discovered a foreigner, whose document caused doubts in its validity. The man presented the passport of a citizen of Spain for control. During the in-depth review, the border guards found that the document provided was not owned by the bearer. However, the traveler persistently argued that he was a Spaniard and invented various stories depending on the course of events. 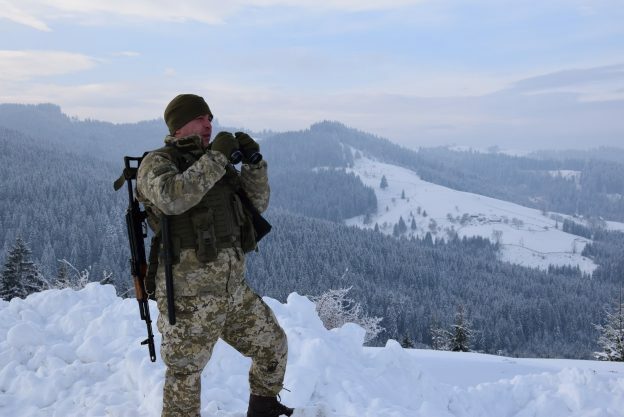 Also, the border guards informed the National Police about the signs detection of the criminal offense, stipulated by Article 357 of the Criminal Code of Ukraine “Abduction, appropriation, extortion of documents, stamps, seals, seizure by fraud or abuse of official position or damage to them”. This entry was posted in Translated Media-News from Ukraine on February 16, 2019 by oksana. 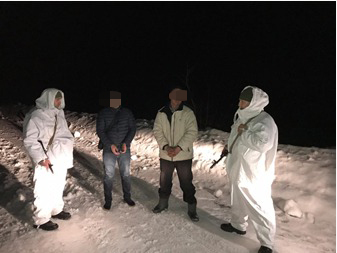 Detention took place in a result of information realization received by the staff of the Operative Departments of the western Regional Department together with the border detail of the BU “Sokyryany”. The offenders were detained in the suburb of the village Shyshkivtsi. They traveled to Ukraine bypassing the check points. The protocol is drawn as to the offenders under the Article 204-1 of the AICU. The case is forwarded to the court. This entry was posted in Translated Media-News from Ukraine on February 15, 2019 by oksana. This entry was posted in Translated Media-News from Ukraine on February 14, 2019 by oksana. Information about border crossing was received in due time by the staff of the Western Regional Department of the State Border Guard Service. Thus, this direction was reinforced by means of operative officers and Slovakian colleagues. In the course of an hour and a half the offenders were apprehended. Illegal migrants were stopped directly at the state border, when they overcame the barrage fence. The detained men were the citizens of Iraq, who explained that in such a way they intended to get to the countries of European Union looking for a better destiny. Aiming to clarify the circumstances of the offence and bringing to administrative responsibility the illegal migrants were delivered to the Temporary Detention Centre of Chop Border Detachment. After identification they will be made liable under Part 2 Article 204-1 of the Administrative Infringement Code of Ukraine “Illegal cross or attempt to cross the state border of Ukraine”. This entry was posted in Translated Media-News from Ukraine on February 9, 2019 by oksana.